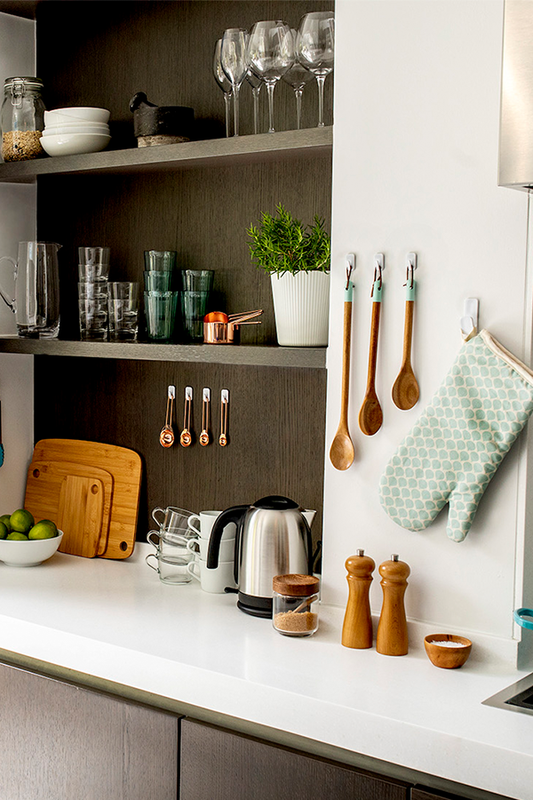 We’re always on the lookout for clever home organization hacks – quick and easy tips and tricks that will make everyday life feel less cluttered! 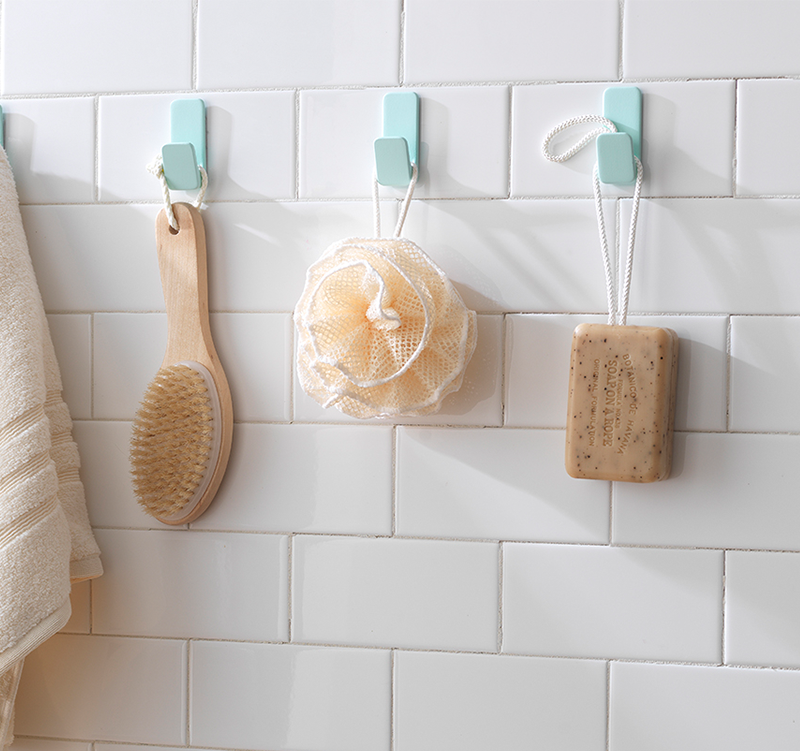 Wall hooks come in handy for bathroom organization. Drilling tiled walls to install hooks is generally best avoided (cracked tiles = DIY nightmare). This is where self-adhesive hooks come in useful – they stick securely to a wide range of surfaces including tile, painted drywall, metal and glass. If you choose the removable kind, they’ll peel off easily when you’re ready to take them down, leaving no marks, holes or damaged walls. 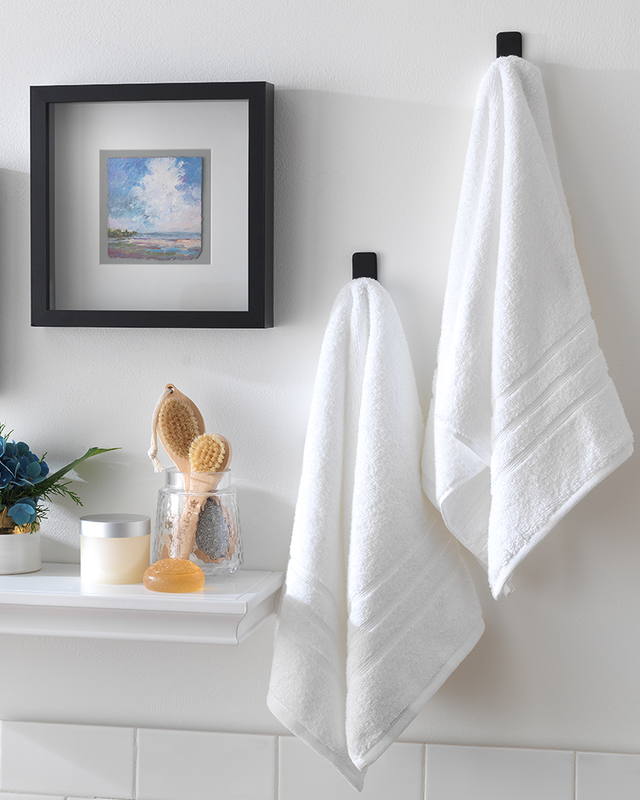 It’s perfect for hanging up shower accessories. Adhesive hooks are a quick and easy way to install hooks for your hand towel. Perfect for renters who can’t nail or screw into the walls. One of our favorite home organization tips is to use VELCRO® Brand HANGables® Adhesive Hooks to keep your kitchen organized. Use them to hang utensils or other kitchen accessories with ease; a great way to de-clutter your countertops, which is a great way to keep essential items on hand. Use a small or micro hook to display earrings, bracelets and necklaces. 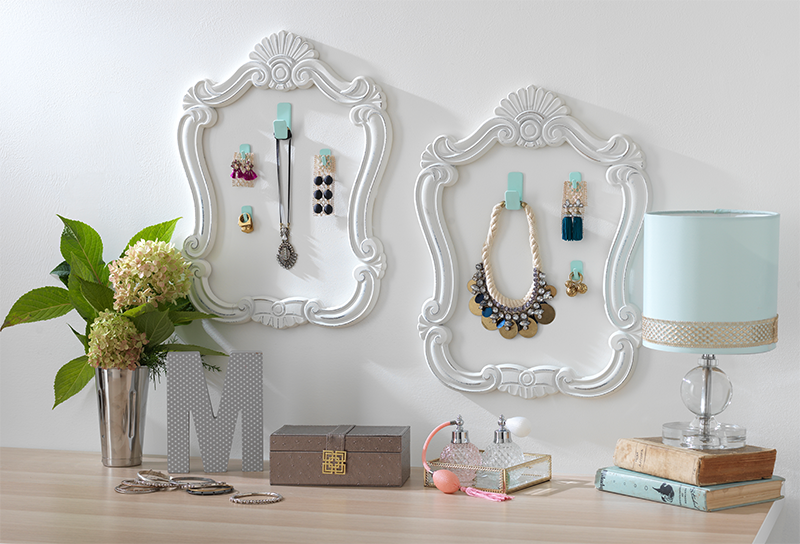 A great way to organize your jewelry and keep it on display! Ready to start organizing your home? Read more on our blog to view even more tips and tricks!